Najbolj zračna all mountain čelada proizvajalca Sweet Protection. Do zdaj! Leo Slemett, World Champion Freeride skier. The award-winning Switcher helmet is designed for all-mountain performance, feeling equally at home floating through the deepest backcountry powder or carving groomers at the resort. 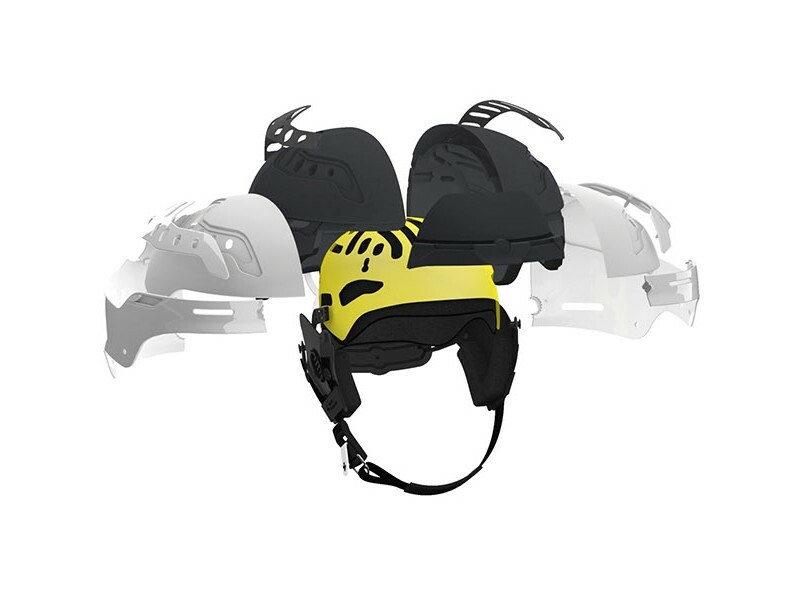 The Switcher helmet will easily adapt to different temperatures and intensity levels. User friendliness in terms of ventilation interface and adjustability of the helmet sets a new standard within comfort. Sweet’s design philosophy is simple: make the best and safest high-performance helmets by finding the sweet spot between world class impact protection, low volume and light weight. The Switcher helmet is simply the latest example of this philosophy in practice. The unique lightweight and advanced Hybrid Shell is a combination of an 0,99 mm in-molded polycarbonate and 2 mm ABS hard shell construction, which gives it a variable construction. The hard shells reinforce the circumference of the helmet, helping to distribute and transfer the load of impact forces and energies in critical areas, while the in-molded areas ensure elasticity is kept where needed. The impact shields are designed to provide unsurpassed performance for shock absorbance. It distributes impact forces from the inside of the helmet over larger areas in crucial zones where the head needs it the most. The Switcher features 20 integrated air channels that is easy to adjust by one single turn on the One-turn ventilation system. The vents are strategically placed to optimize cooling by airflow when needed. Main ventilation is 6 forward facing vents and 14 reward facing vents. Multiple internal channels funnels air through the helmet. Turn left to open and right to close. Separate STACC vent sliders open the vents on each side. A front vent, an internal channel and an exhaust vent cools down the temporal artery without exposing your temples which is the most vulnerable area of the head. Wide air channels front to back on the inside of the helmet. Passive goggle vents in the front area of the helmet prevents goggles from fogging up. Internal channels funnels air from the goggles through the front vents.